Dieser Kurs gibt einen Überblick über grundlegende Modelle, Theorien und Prinzipien der Betriebswirtschaftslehre. Er basiert auf einer mehrfach ausgezeichneten äquivalenten Lehrveranstaltung an der RWTH Aachen und wurde bislang von über 10.000 Studierenden erfolgreich in Aachen absolviert. Der Kurs beginnt mit den Fragen, warum es Unternehmen gibt und was der Kern unternehmerischer Wertschöpfung ist. Anschließend wird analysiert, welche Alternativen und Theorien es zur Organisation von Unternehmen gibt. Ein Schwerpunkt auf die neue Institutionenökonomie erlaubt dabei einen Einblick in einen der Ansätze, der das moderne Management entscheidend geprägt hat. In den letzten beiden Teilen werden Prinzipien der operativen und der strategischen Planung sowie Wettbewerbsstrategien behandelt. Anhand ausgewählter Konzepte lernen die Teilnehmenden die wichtigsten Ansätze des strategischen Managements kennen. Als besonderes Feature gibt es zu der Veranstaltung das BWL-MOOC Planspiel der Firma Simucate. Das Planspiel: Es bietet Ihnen eine interaktive Möglichkeit, die Studieninhalte gleich praktisch anzuwenden und so besser zu verstehen. Das Planspiel ist in allen Klausurpaketen enthalten. Zusätzlich kann es während des Kurses für 19 Euro hinzu gebucht werden. Sollten Sie sich dazu entscheiden, den ECTS-Track zu belegen ist das Planspiel für Sie bereits inklusive. Die Ergebnisse des Planspiels fließen dann zu 20% in die Endnote der Veranstaltung mit ein. Du kennst grundlegende Denkweisen der Betriebswirtschaftslehre. Du kannst wesentliche Fachbegriffe ebenso wie grundlegende Konzepte auf aktuelle Fragestellungen übertragen. Du kannst einen Bezug zwischen den theoretisch vermittelten Kursinhalten und der unternehmerischen Praxis herstellen. Du bekommst eine kritisch-reflektierte Herangehensweise an wirtschaftliche Fragestellungen. Du bekommst einen Rahmen für weitere vertiefende Vorlesungen im Bereich BWL. Die Teilnahme ist ohne spezielle Vorkenntnisse möglich. Mathematik auf mind. Oberstufenniveau ist für Modul 5 erforderlich. We will apply insights from game theory to explain human social behavior, focusing on novel applications which have heretofore been the realm of psychologists and philosophers—for example, why people speak indirectly, in what sense beauty is socially constructed, and where our moral intuitions come from—and eschewing traditional economic applications such as industrial organization or auctions. We will employ standard games such as the prisoners dilemma, coordination, hawk-dove, and costly signaling, and use standard game theory tools such as Nash Equilibria, Subgame Perfection, and Perfect Bayesian Equilibria. These tools will be taught from scratch and no existing knowledge of game theory, economics, or mathematics is required. At the same time, students familiar with these games and tools will not find the course redundant because of the focus on non-orthodox applications. Topics covered in a traditional college level introductory macroeconomics course. 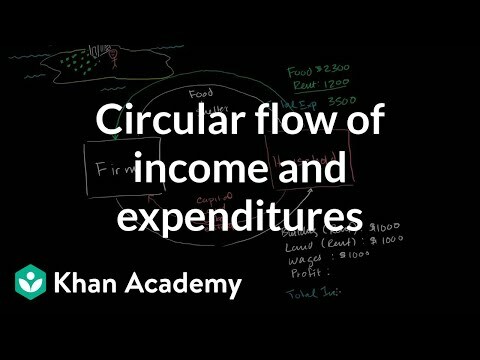 Circular Flow of Income and Expenditures. Parsing Gross Domestic Product. More on Final and Intermediate GDP Contributions. Investment and Consumption. Income and Expenditure Views of GDP. Components of GDP. Examples of Accounting for GDP. Real GDP and Nominal GDP. GDP Deflator. Example Calculating Real GDP with a Deflator. Introduction to Inflation. Actual CPI-U Basket of Goods. Inflation Data. Moderate Inflation in a Good Economy. Stagflation. Real and Nominal Return. Calculating Real Return in Last Year Dollars. Relation Between Nominal and Real Returns and Inflation. Deflation. Velocity of Money Rather than Quantity Driving Prices. Deflation Despite Increases in Money Supply. Deflationary Spiral. Hyperinflation. Unemployment Rate Primer. Phillips Curve. Interest as Rent for Money. Money Supply and Demand Impacting Interest Rates. The Business Cycle. Aggregate Demand. Shifts in Aggregate Demand. Long-Run Aggregate Supply. Short Run Aggregate Supply. Demand-Pull Inflation under Johnson. Real GDP driving Price. Cost Push Inflation. Monetary and Fiscal Policy. Tax Lever of Fiscal Policy. Breakdown of Gas Prices. Short-Run Oil Prices. Keynesian Economics. Risks of Keynesian Thinking. Overview of Fractional Reserve Banking. Weaknesses of Fractional Reserve Lending. Full Reserve Banking. Money Supply- M0 M1 and M2. Simple Fractional Reserve Accounting part 1. Simple Fractional Reserve Accounting (part 2). MPC and Multiplier. Mathy Version of MPC and Multiplier (optional). Consumption Function Basics. Generalized Linear Consumption Function. Consumption Function with Income Dependent Taxes. Keynesian Cross. Details on Shifting Aggregate Planned Expenditures. Keynesian Cross and the Multiplier. Investment and Real Interest Rates. Connecting the Keynesian Cross to the IS-Curve. Loanable Funds Interpretation of IS Curve. LM part of the IS-LM model. Government Spending and the IS-LM model. Balance of Payments- Current Account. Balance of Payments- Capital Account. Why Current and Capital Accounts Net Out. Accumulating Foreign Currency Reserves. Using Reserves to Stabilize Currency. Speculative Attack on a Currency. Financial Crisis in Thailand Caused by Speculative Attack. Math Mechanics of Thai Banking Crisis. Topics covered in a traditional college level introductory macroeconomics course. 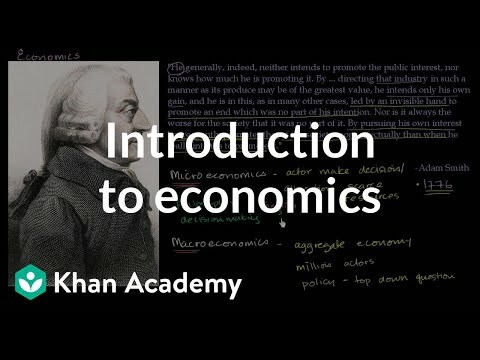 Introduction to Economics. Circular Flow of Income and Expenditures. Parsing Gross Domestic Product. More on Final and Intermediate GDP Contributions. Investment and Consumption. Income and Expenditure Views of GDP. Components of GDP. Examples of Accounting for GDP. Real GDP and Nominal GDP. GDP Deflator. Example Calculating Real GDP with a Deflator. Introduction to Inflation. Actual CPI-U Basket of Goods. Inflation Data. Moderate Inflation in a Good Economy. Stagflation. Real and Nominal Return. Calculating Real Return in Last Year Dollars. Relation Between Nominal and Real Returns and Inflation. Deflation. Velocity of Money Rather than Quantity Driving Prices. Deflation Despite Increases in Money Supply. Deflationary Spiral. Hyperinflation. Unemployment Rate Primer. Phillips Curve. Interest as Rent for Money. Money Supply and Demand Impacting Interest Rates. The Business Cycle. Aggregate Demand. Shifts in Aggregate Demand. Long-Run Aggregate Supply. Short Run Aggregate Supply. Demand-Pull Inflation under Johnson. Real GDP driving Price. Cost Push Inflation. Monetary and Fiscal Policy. Tax Lever of Fiscal Policy. Breakdown of Gas Prices. Short-Run Oil Prices. Keynesian Economics. Risks of Keynesian Thinking. Overview of Fractional Reserve Banking. Weaknesses of Fractional Reserve Lending. Full Reserve Banking. Money Supply- M0 M1 and M2. Simple Fractional Reserve Accounting part 1. Simple Fractional Reserve Accounting (part 2). MPC and Multiplier. Mathy Version of MPC and Multiplier (optional). Consumption Function Basics. Generalized Linear Consumption Function. Consumption Function with Income Dependent Taxes. Keynesian Cross. Details on Shifting Aggregate Planned Expenditures. Keynesian Cross and the Multiplier. Investment and Real Interest Rates. Connecting the Keynesian Cross to the IS-Curve. Loanable Funds Interpretation of IS Curve. LM part of the IS-LM model. Government Spending and the IS-LM model. Balance of Payments- Current Account. Balance of Payments- Capital Account. Why Current and Capital Accounts Net Out. Accumulating Foreign Currency Reserves. Using Reserves to Stabilize Currency. Speculative Attack on a Currency. Financial Crisis in Thailand Caused by Speculative Attack. Math Mechanics of Thai Banking Crisis. Balance of payments. Current account. Capital account. Currency reserves and speculative attacks. Balance of Payments- Current Account. Balance of Payments- Capital Account. Why Current and Capital Accounts Net Out. Accumulating Foreign Currency Reserves. Using Reserves to Stabilize Currency. Speculative Attack on a Currency. Financial Crisis in Thailand Caused by Speculative Attack. Math Mechanics of Thai Banking Crisis. Balance of Payments- Current Account. 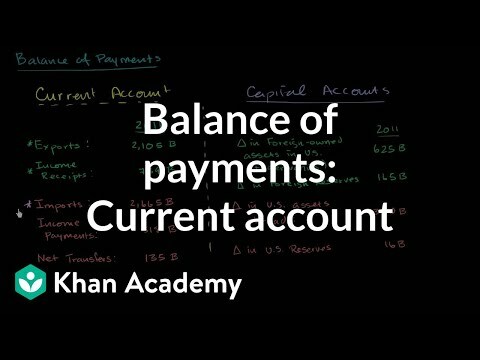 Balance of Payments- Capital Account. Why Current and Capital Accounts Net Out. Accumulating Foreign Currency Reserves. Using Reserves to Stabilize Currency. Speculative Attack on a Currency. Financial Crisis in Thailand Caused by Speculative Attack. Math Mechanics of Thai Banking Crisis. Consumption function. Marginal propensity to consume and multiplier. Keynesian Cross and IS-LM model. 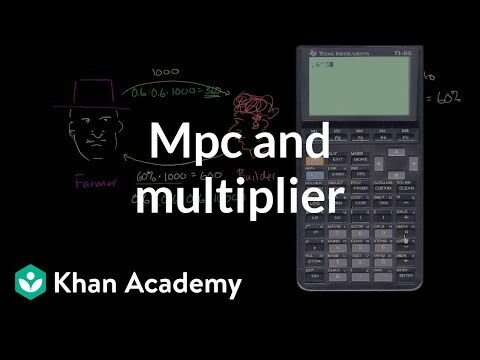 MPC and Multiplier. Mathy Version of MPC and Multiplier (optional). Consumption Function Basics. Generalized Linear Consumption Function. Consumption Function with Income Dependent Taxes. Keynesian Cross. Details on Shifting Aggregate Planned Expenditures. Keynesian Cross and the Multiplier. Investment and Real Interest Rates. Connecting the Keynesian Cross to the IS-Curve. Loanable Funds Interpretation of IS Curve. LM part of the IS-LM model. Government Spending and the IS-LM model. MPC and Multiplier. Mathy Version of MPC and Multiplier (optional). Consumption Function Basics. Generalized Linear Consumption Function. Consumption Function with Income Dependent Taxes. Keynesian Cross. Details on Shifting Aggregate Planned Expenditures. Keynesian Cross and the Multiplier. Investment and Real Interest Rates. Connecting the Keynesian Cross to the IS-Curve. Loanable Funds Interpretation of IS Curve. LM part of the IS-LM model. Government Spending and the IS-LM model. This course is designed to introduce students to basic microeconomic theory at a relatively rapid pace without the use of complicated mathematics. The focus will be on fundamental economic principles that can be used by managers to think about business problems, including those that arise from coordinating workers and managers inside firms and from dealing with outside market forces and government policies. This course introduces the principal algorithms for linear, network, discrete, nonlinear, dynamic optimization and optimal control. Emphasis is on methodology and the underlying mathematical structures. 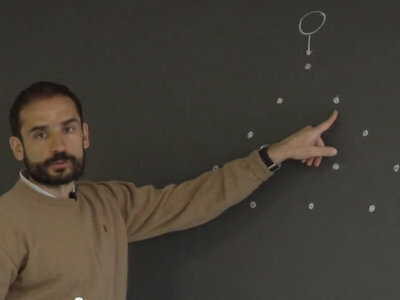 Topics include the simplex method, network flow methods, branch and bound and cutting plane methods for discrete optimization, optimality conditions for nonlinear optimization, interior point methods for convex optimization, Newton's method, heuristic methods, and dynamic programming and optimal control methods. This Supply Chain Fundamentals course is part of the MITx MicroMasters Credential in Supply Chain Management, offered by #1 ranked SCM Master's program at the Massachusetts Institute of Technology. The CTL.SC1x Supply Chain Fundamentals course provides the foundational skills for supply chain management and logistics. You will learn how to develop and apply analytic tools, approaches, and techniques used in the design and operation of logistics systems and integrated supply chains. 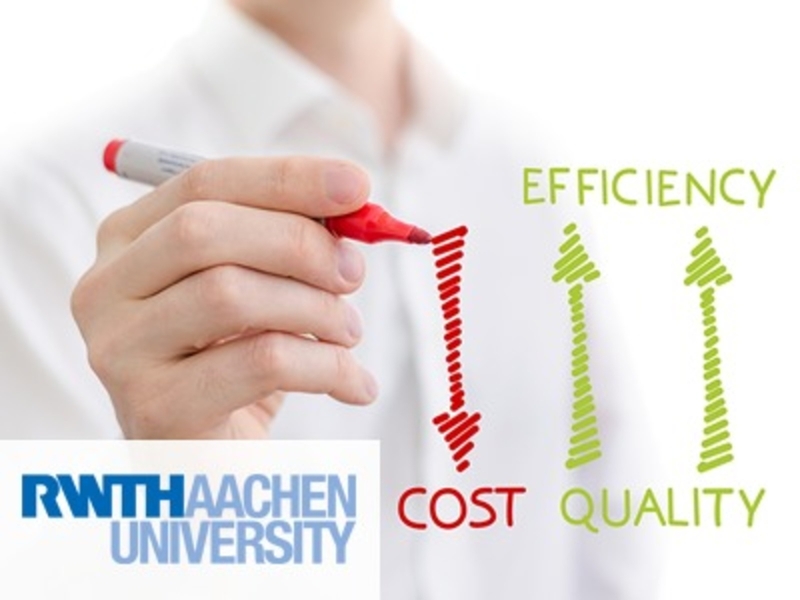 The material is taught from a managerial perspective, with an emphasis on where and how specific tools can be used to improve the overall performance and reduce the total cost of a supply chain. We place a strong emphasis on the development and use of fundamental mathematical models to illustrate the underlying concepts involved in both intra- and inter-company logistics operations. While our main objective is to develop and use models to help us analyze these situations, we will make heavy use of examples from industry to provide illustrations of the concepts in practice. This is neither a purely theoretical nor a case study course, but rather an applied analytical course that addresses real problems found in practice. Develop the skills required to identify the opportunity and manage the implementation of an optimization-based decision support tool.